Scraps of Five. 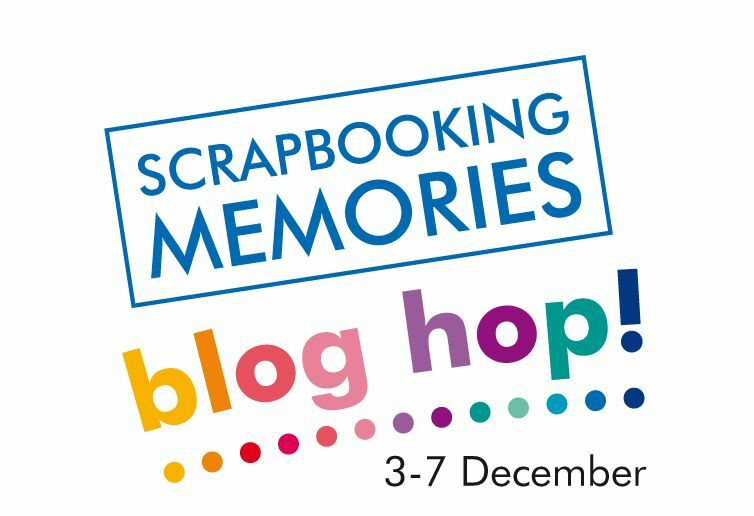 : Scrapbooking Memories Blog Hop! I love cutting things in half too!! Love what you've created Beth! Now there's an idea. Cutting thing sin half is a great idea. The theme has eluded me so far. Off to look for more clues. Yep, one of my favourite things to do is to chop things in half! Have you worked the theme out yet, Susan? Great page Beth. 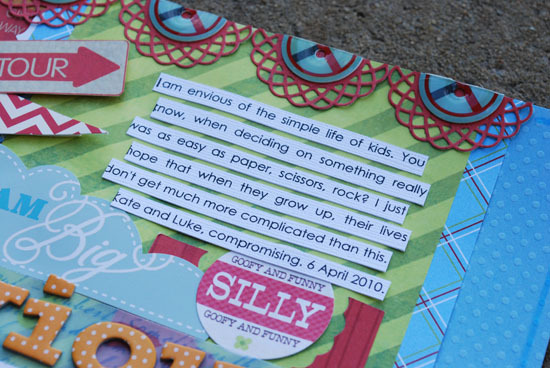 Love the colours and my boys are always doing Paper Scissors Rock. I often jump in on the game too. An oldie but a goodie. I can read my kids like books, so I beat them every time! LOL! Well done Beth, glad to see you are getting your mojo back :) in fine form too!! Your page is gorgeous Beth! I think I might have an idea on the theme too!! Thanks Kerryn! Well done! I think it would have been hard to work out, if I didn't already know what it was! I love the subtle misting on this one Beth, and the cluster of embellies and journalling ROCKS!!!!! Didn't turn out like the perfect circle of mist I wanted, but good enough! 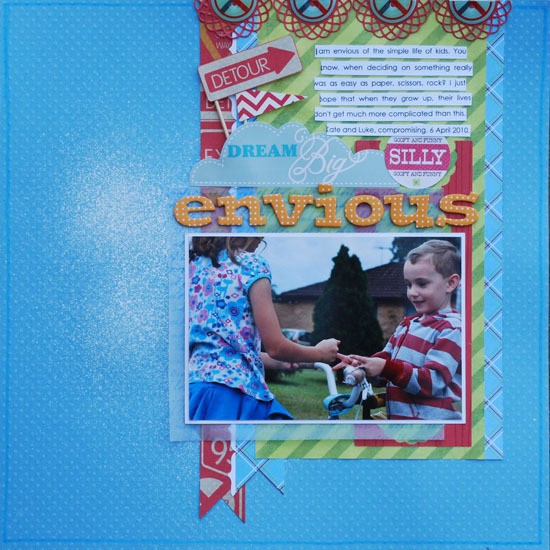 Yeah, I actually had fun creating this layout!